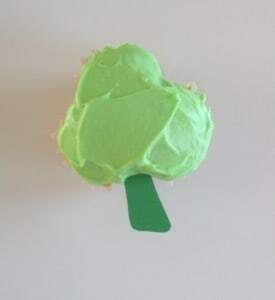 St. Patrick’s Day Cupcakes . 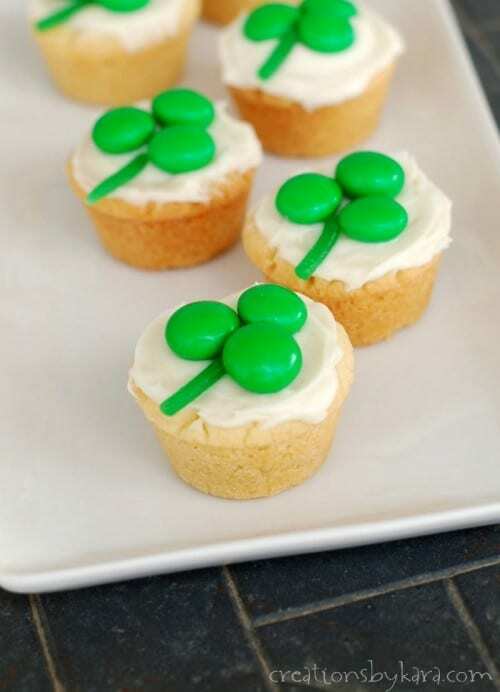 . . these tasty cupcakes have been a tradition at my house since I was a little girl. Pistachio pudding gives them great flavor as well as a fun green color. 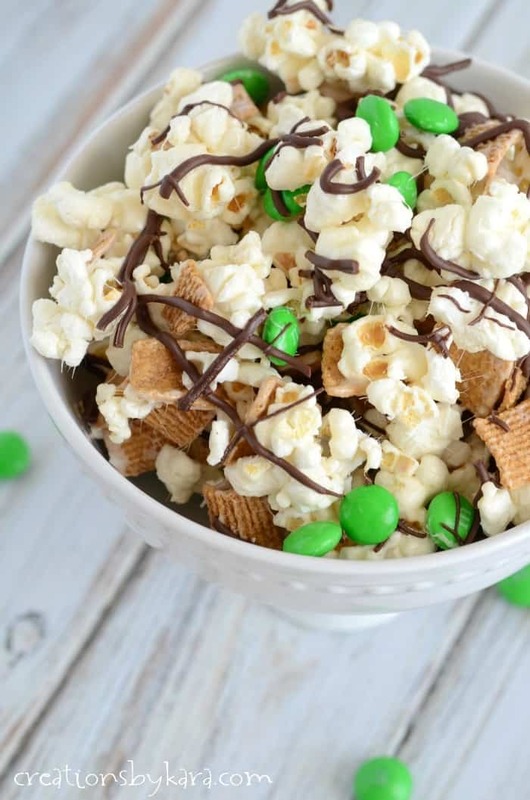 Seeing as how tomorrow is St. Patrick’s Day, I thought it was probably time that I shared one of my favorite St. Patty’s recipes with you. Luckily I have the photos saved from last year, because I won’t have any time to make them. Tonight I’m teaching another cooking class, and the next two days I am helping out at the school Book Fair. These cupcakes have been a favorite since I was a little girl. I don’t usually like the frosting in the can, but I do with this recipe. I made homemade cream cheese frosting once and didn’t like them as much. I was actually quite stunned. I think it is a nostalgic thing for me. This was the only time my mom used store bought frosting, and it’s just how I grew up with them. So now, it is the only recipe I use canned cream cheese frosting. You can use whatever you choose. We always just made them round, but last year I tried shamrock shapes. 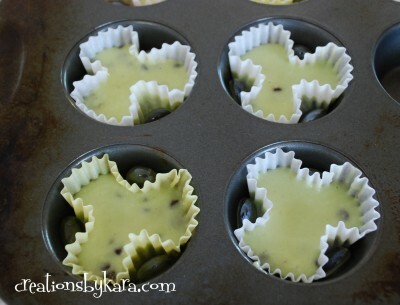 They turned out really cute, so I’ll share the instructions at the end of the recipe. Either way you make them, they are moist and absolutely delicious! 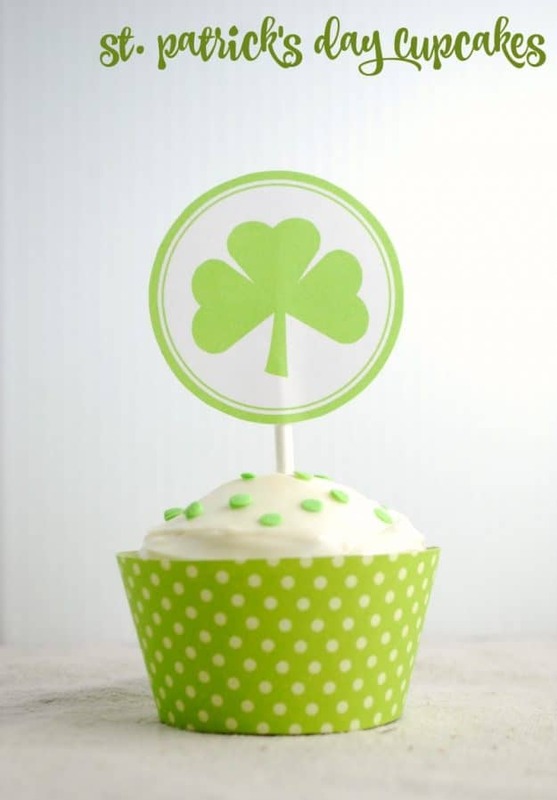 If you want to use the Shamrock Cupcake Toppers, you can find them HERE. Important disclaimer: My boys were at school and I couldn’t find my son’s marbles, so I used the flat backed marbles from my craft room stash. THEY DON’T WORK! Apparently they didn’t push the paper in far enough. So use actual round marbles, or roll up pieces of aluminum foil into balls. Pistachio pudding gives these St. Patrick's Day cupcakes great flavor as well as a fun green color. Stir together flour, pudding mix, chips, sugar, baking powder, and salt in a large mixing bowl. In a small bowl, whisk the eggs, milk, oil, and vanilla. Stir into flour mixture just till combined. Fill paper lined muffin cups 2/3 full. Bake at 375 for 18-20 minutes. Cool completely and frost. You can either use white frosting with sprinkles, or stir some food coloring into the frosting. 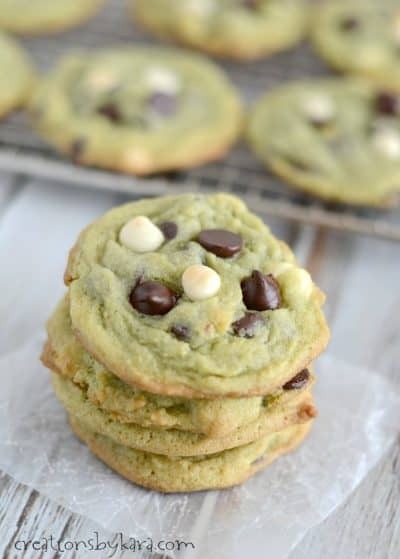 Make sure you use the mini chocolate chips. Regular ones tend to sink to the bottom. 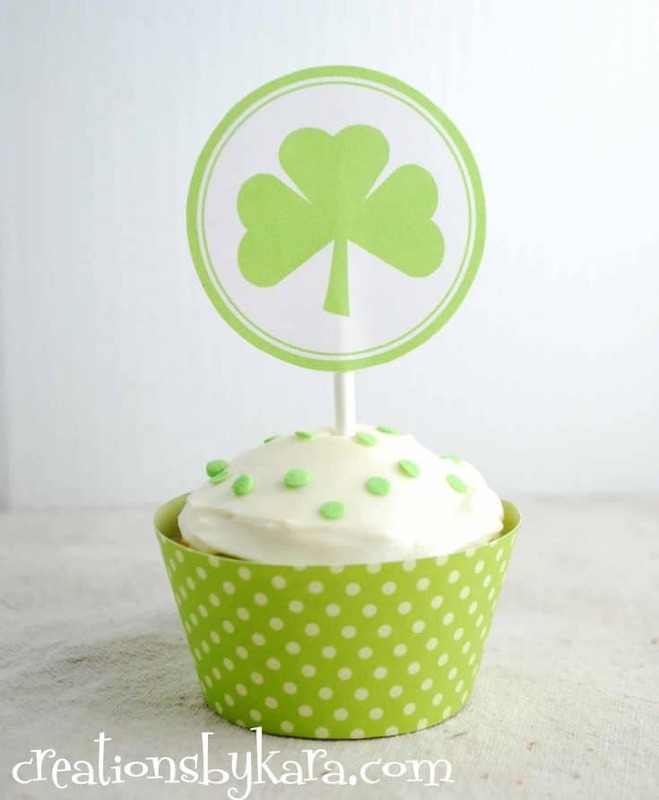 To see all my St. Patrick’s Day ideas, click HERE. Can I make these into a cake? There is NO CREAM CHEESE IN THE STORE BOUGHT CAN OF CREAM CHEESE FROSTING!!! No, it’s full of a whole bunch of ingredients that no one can pronounce. Which is why I always make homemade cream cheese frosting, except for when I make these cupcakes. Actually, my kids didn’t even know frosting came in cans. My mom always made homemade except for when she made these. I figure if we eat frosting out of a can 5 or 6 times in our lifetime we’ll probably be OK. If it takes me back to my childhood for a few minutes, it’s worth it to me. But you can absolutely stick with the homemade version if you prefer. These are so cute! 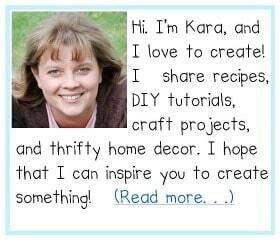 Thanks for linking up Kara! I’m loving all the other crafts and recipes linked up. I always love fun holiday ideas!